30 Day Book Challenge: Day 4 - Favorite book of your favorite series. This is a hard one! I loved so many of these books because they were each so different. Some of the ones that have stuck with me the longest are those that don't center around a well-defined and precise historical moment (like "the Titanic"), but rather, capture an aspect of history and a certain way of life that I didn't really understand or know much about. 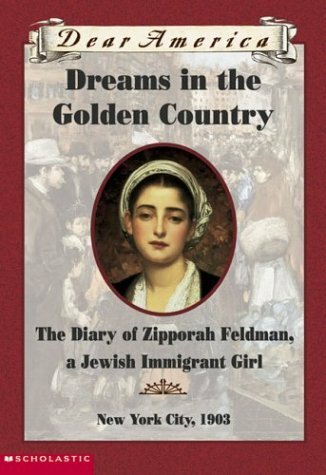 Two titles in particular that stand out are Dreams in the Golden Country: The Diary of Zipporah Feldman, a Jewish Immigrant Girl and West to a Land of Plenty: The Diary of Teresa Angelino Viscardi, New York to Idaho Territory. 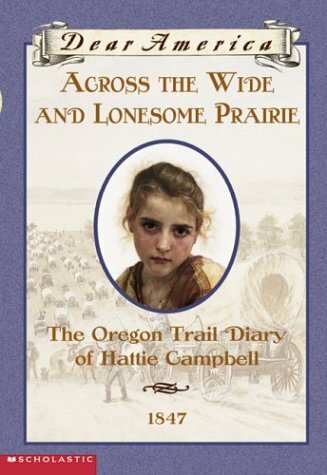 But I think my absolute favorite is Across the Wide and Lonesome Prairie: The Oregon Trail Diary of Hattie Campbell. As a child, I went through a "prairie girl" phase. I consumed everything that I could about "prairie" life, I was an ardent fan of the Little House on the Prairie Books (I even watched some of the TV episodes and movies), and I dressed up as a "prairie girl" for Halloween when I was in third grade, complete with a homemade bonnet and wooden basket. I also really enjoyed the Oregon Trail computer game and cannot count the number of times that I lost a member of my party to that dreaded thief in the night: dysentery. Even now, I can still hear the strange little sound the computer would make when another person came down with that awful illness. 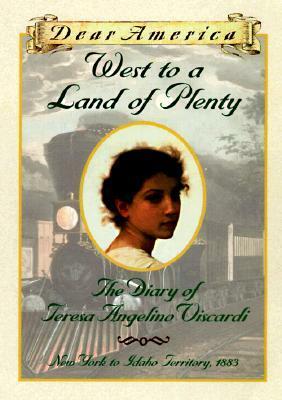 I read Across the Wide and Lonesome Prairie in the midst of my "prairie girl" hay day, and I loved it. As with each book in the Dear America series, I learned so much and was completely swept away by the story. There is a lot of heartache, loss, and sorrow in this book, and I cried every time I read it. I felt like I knew Hattie and her traveling companions, and their struggles and successes were my own. This is definitely one of the sadder and more serious books in the Dear America series (a lot of people die), but I was a pretty serious child and enjoyed that this book engaged me on such a deep and meaningful emotional level. I think that's why I loved the series as a whole so much. Plus, the main character's name is Hattie! It's so old-fashioned and fun, and she is just one of the many Harriets I have become obsessed with during my life (Harriet Jacobs, Harriet Wilson, Harriet Beecher Stowe). I never had a prairie phase myself so much as a gold rush phase. But a big part of that was the Oregon trail - especially since my school had the game on the computer lab because it was "educational". I did lean one thing - don't waste all your ammo hunting and then overloading your wagon (and leaving begin some food too!). That heavy wagon is king to drown you the next time you try to ford a river. Ugh. Oh. And one other thing. And if the rivers don't get you - the dysentery will.